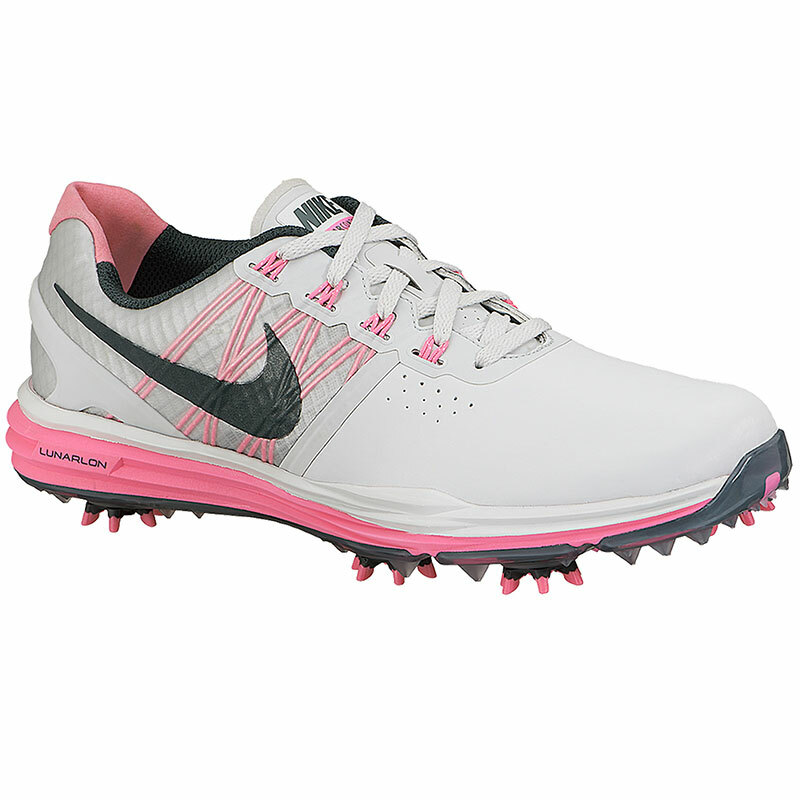 With a lower profile and a lighter fit than their predecessor, the incredible Nike Golf Ladies Lunar Control 3 Shoes provide comfort that all golfers dream about. 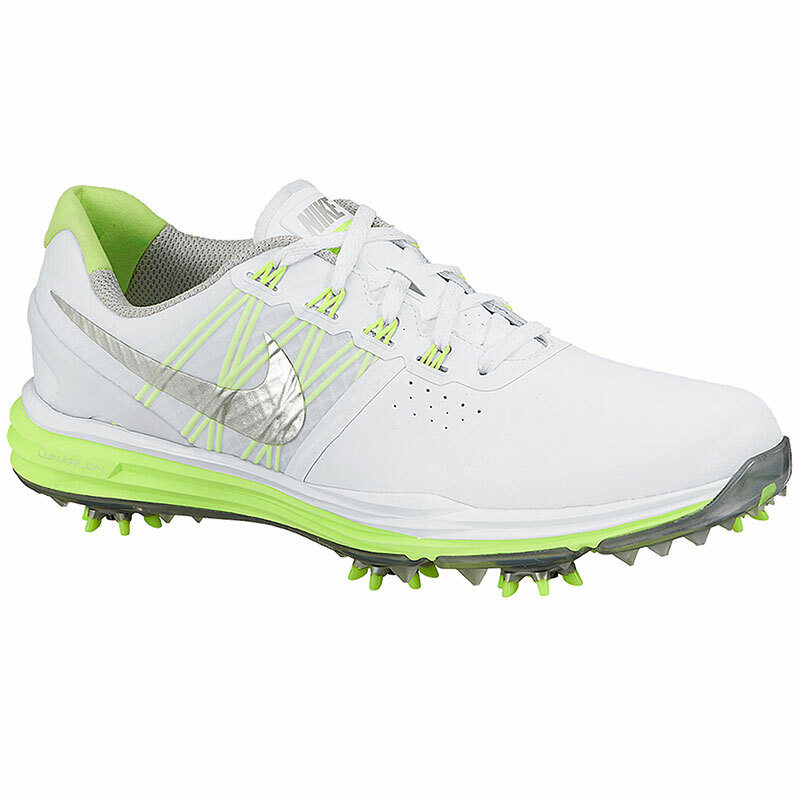 For springy impact protection and comfortable support, these brilliant shoes feature premium Lunarlon cushioning and dynamic Flywire technology. For comfortable play no matter the conditions, the Lunar Control II are constructed from a waterproof microfibre leather for durability and protection from the elements. 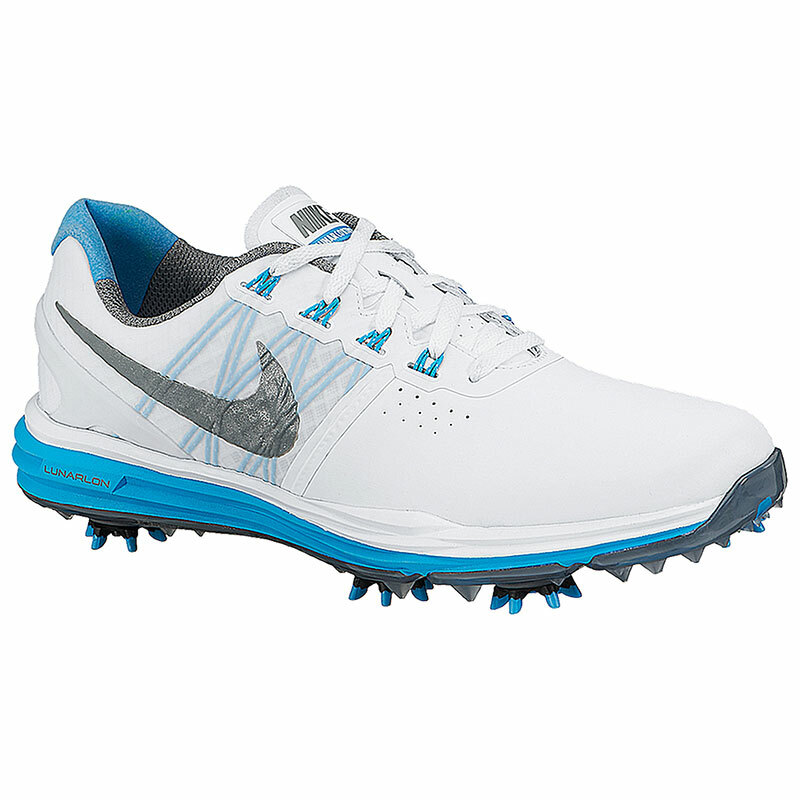 Premium comfort is provided by the super stylish Nike Golf Ladies Lunar Control 3 Shoes. 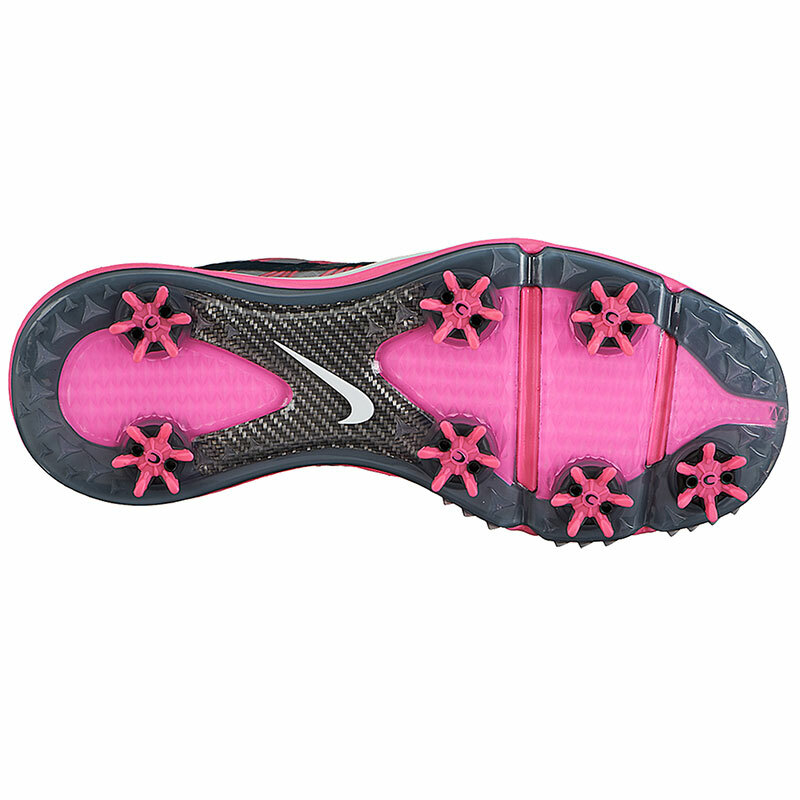 Dynamic Flywire technology wraps the foot for adaptive lateral support while the Nike Control Platform provides underfoot stability, smooth weight transfer and control through impact. For a lower and lighter fit, there is a technical TPU and composite carbon fibre mid foot shank that also provides more stability. 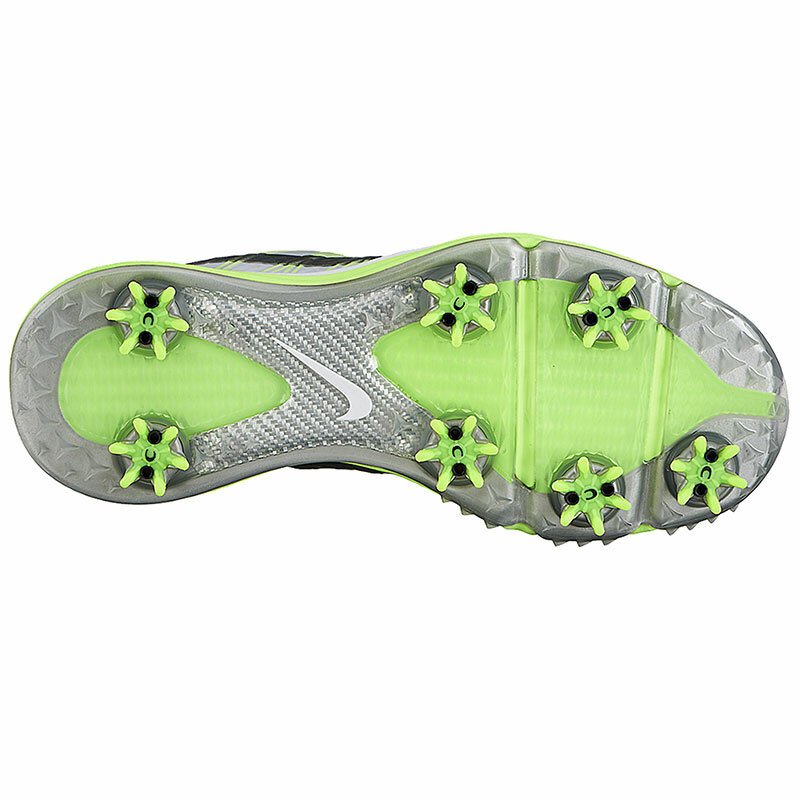 For incredible traction everywhere on the course, these super shoes are fitted with the high quality Scorpion Stinger Spikes with a Tri-LOK system.